Throughout human history, it appears that we have been driven to believe in something, whether that be an established faith, or some form of subjective mysticism. Whether organized or not, this impulse to believe in something higher than oneself has been prevalent from perhaps even before the dawn of civilization. 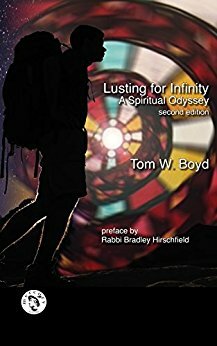 In his engaging fictionalized study, Lusting for Infinity: A Spiritual Odyssey, University of Oklahoma Kingfisher Chair Emeritus, Tom W. Boyd undertakes to explore possible explanations for what he calls humanity’s “Primary Impulse” towards religious sentiment. In the interests of full disclosure, I must confess that I have a long established professional and personal relationship with Dr. Boyd, as it was he who stoked the flames of my youthful philosophical enquiry, leading to my professional interest in the field. Nonetheless, I shall endeavor to bracket my bias, as he so well taught me, to provide an honest and balanced review. The book itself takes the form of a journal of sorts, following our author/protagonist, Tom, as he undertakes a pilgrimage into the high plains wilderness of northern New Mexico. To avoid confusion, I shall refer to “Tom” as the first-person protagonist of the story, and “Boyd” shall designate when I am referring to the author. Loosely based on actual encounters, events and conversations, the structure is composed of an ongoing narrative of Tom’s external adventures and internal musings. This format flows easily for Boyd, and seems a natural outgrowth of his teaching style, which combined pedagogy with entertaining personal anecdotes to illustrate the principles being shared. The plotline of Tom’s backpacking vision quest to understanding the personal longings of his soul serves as an able vehicle to carry Boyd’s own theories. But Lusting for Infinity is much more than just another “buddy story,” recounting the adventures of Tom and his friends in the Pecos backwoods. It also explicates a good many important Philosophy of Religion, Ethics, and Religious Studies concepts along the way, providing personal, and sometimes intimate, examples of how these concepts and distinctions are played out in living human experience. Tom chews on some tough existential questions on the nature of human finitude with a variety of interesting characters, beginning with his PTSD-troubled Viet Nam veteran friend, Ethan, and including representatives of both indigenous and modern religious traditions, exploring many perennial philosophy of religion questions literally from the inside out. The story is engaging, if a bit slow moving due to the many conceptual excursions, with the other characters eliciting from Tom explanations of many typical philosophy of religion dilemmas, as well as Tom’s own musings. The story element is clever, well written and the characters fun, fascinating and thoughtful. Boyd claims humanity characteristically holds an intense internal longing to transcend our frailty and finitude, which the existential origin of all religious forms, what he calls the “Primary Impulse.” We reach for transcendence once we recognize the extent of our contingency and limitations. It is this subjective experience of being aware of one’s boundedness that is both the root and solution to our many problems of religion. At its best, Boyd contends that religion (of whatever variety) provides humanity with a framework and worldview, allowing individuals to form an understanding of their place within the cosmic order – in other words, a Big Picture. Through the use of symbol, myth, ritual and community, formal religions grant individuals a broader context within which to understand and harness their personal encounters with the infinite. But at their worst, formal religions can forget or deny that they exist only through the medium of error-riddled humanity, and although religious dogmas may concern the infinite, they do not by any means control the infinite nor can the limited human understanding fully comprehend the unlimited. Yet, formal religion absolves and ameliorates our horror of the abyss through distraction, denial and by deviating us from the anxiety of an encounter with the infinite, allowing us to feel safe and secure in a created world peopled with others like us. In this way, formal religion provides maximal stability and continuity, even at the expense of becoming trapped in dogma, aggression, and exclusion. Relying on established Religious Studies findings, Boyd notes that it is the monotheistic religions that have the greatest potential to degenerate into absolutism and the denial of other religious forms. Monotheistic religions such as Christianity and Islam traditionally both make claims to be the single legitimate (and therefore, ultimate) form of religion, with an exclusive relationship to the infinite, thus challenging the right of other religions to even exist. These dangerous claims have been used to justify exclusion, aggression, forced conversion and even genocide throughout human history. Although Boyd does acknowledge the need for a new way to construe the limits of any and all religions, he does not address how this foundational belief, when pushed to the extreme and understood from a literalist, objective perspective, has given rise to religious fundamentalism, extremism and terrorism, especially in areas destabilized by recent western military interventions, such as Afghanistan, Iraq and Libya. Although such an exploration would give added timeliness and even greater dimensionality, it is understandable why it was left out of the book’s scope, for one could easily write an entire volume on this topic alone (and many other authors already have). Boyd discusses the paradox of religion, which finds its original impulse in direct personal experiences with the infinite beyond all human control or understanding, but which then attempts to conquer and tame the wildness of that subjective experience through the imposition of established symbols and interpretations, locking up the passion of infinite longing inside linguistic cages. When considering the origins of religion in human societies, Boyd notes that one can either approach the subject from a historical, external model, such as we find in the academic study of religion, which looks at religion as a phenomenon situated within concrete times and cultures; or one can take a more existential approach, in which what is sought is not who, when, where and how, but rather the toughest of all philosophical questions: why? In academic research into religions, the study of external practices, rituals and symbols are considered sufficient to gain an adequate understanding of any particular religion. Boyd refutes this, claiming that only through participatory engagement with a religion – though actually trying to understand the subjective experience of practitioners – can a true picture of a religion be gained. Boyd argues for an empathic engagement with the phenomenon of religion itself, a recognition that the religious sensibility is a common human foundation upon which we can build. 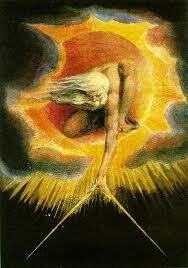 The existential experience is found in all religions, regardless of how any particular religion should manifest. As the world grows more secular, Boyd cautions against the institution of secularism as a new religion, for governments and political parties can just as easily suffer from the same hubris as formal religions when they ignore the human capacity for error and limited vision. The Problem of Evil, and the various apologetics it has spawned, is a mainstay in the fields of ethics, the philosophy of religion and religious studies. Boyd gives a nod to the topic, but again, does not delve deep, as the many permutations of this dilemma beyond the reach of this work. Yet, Boyd’s cursory discussion does relate back to his thesis that human-caused evil is rooted in our denial of human limitations, especially when we fail to recognize our own capacities for error and cruelty. This observation carries many implications for our own current dilemmas, which again, Boyd does not pursue. Religion is humanity’s attempt to transcend human finitude, according to Boyd, but it is prone to the same failings and pitfalls as any limited human, for the finite cannot encompass the infinite. We see this when religions fail to acknowledge their own limits and barriers to understanding. We live in a unique era, when we are no longer fated to hold the same beliefs as our ancestors or ambient culture. Rather, we now can choose from a veritable smorgasbord of beliefs. Boyd addresses the challenge of other worldviews when Tom encounters indigenous Native American and Rastafarian believers. 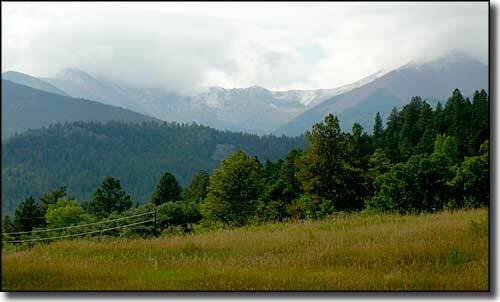 This liberated capacity for conscious choice of worldview carries the burden of the necessity of choice. As Gabriel Marcel noted, not only must we choose, we must keep on choosing and live with the consequences of those choices, whether we want to or not. Modern secular culture separates the sacred and religious aspects of life from physical and social matters, generally marginalizing religion in its focus on developing the human capacity to manipulate the physical realm. Problems arise when only secular options are recognized and engaged as live alternatives. This leads to the suppression of the Primary Impulse towards religious sentiments, resulting in the elevation of the secular into the sacred. We see the backlash from this in the rise of fundamentalism and religious extremists such as Al-Qaeada and ISIL, who demand a return to traditional religious values and social forms supplanted by creeping secularism. Again, a plethora of ethical, political and sociological rabbitholes appear, but Boyd resolutely avoids the diversion, even whilst calling our attention to the existence of the waiting trap on the trail. It is when any field of human endeavor, whether it be a formal religion or even science, claims to be The Penultimate Authority on What Is, that Boyd says we have a problem, again, caused by the denial of human limitations. Boyd cautions us to remember that the finite is incapable of capturing the infinite, and therefore all human attempts at grasping the cosmic truth are likewise limited. Although science has been spectacularly successful, it, too, is bounded by human employment of symbols and processes, and therefore vulnerable to misinterpretation, misconstrual and abuse. An exclusivist approach, in which only one single worldview is considered “true” or “real,” turns all non-believers into existential threats to be converted, eliminated, or in some way silenced – preferably permanently. We see this played out in the vitriol displayed in both national and global politics, as well as debates over the efficacy of vaccines, the validity of global warming, and so many other current issues that pis science against traditional worldviews. Yet, some grounding for tolerance must be found if we are to survive. In nature, ecosystems thrive on diversity, yet we short-sighted humans seem to think that homogeneity will solve our intrinsic dilemmas, and promise future security and prosperity – another trap of our all-too-human failure of vision that Boyd identifies. 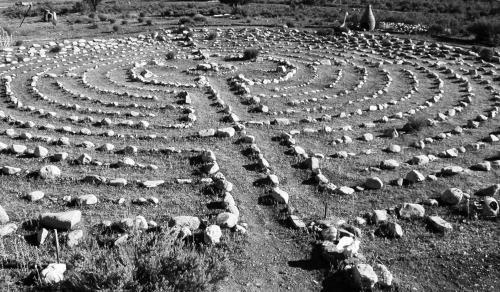 Boyd’s prescription for the many traps of human finitude is what he calls “Inwardness,” a return and reconnecting to our own subjective experience. Through our capacity to think (the “womb of religion” according to Boyd), the author claims that we can transcend the limits of fleshy finitude. The gift of human consciousness allows us to not only conceive of the infinite, but also to discern our own bounded human condition, caught half-way between the infinitely vast and the infinitely small. Following Kierkegaard’s lead, Boyd asserts we must first move through our own shadowy despair at our limits, to purge our addiction to form-making, before we are capable of the synthesis necessary to transcend those forms. 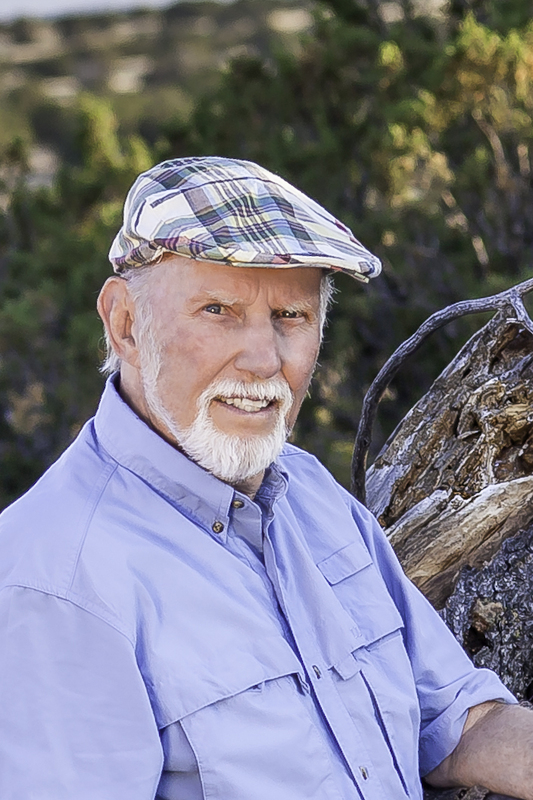 Boyd advocates for what he calls the Transformational Approach to religion as a religious maturity where both institutionally and personally, religious practitioners are called upon to recognize and accommodate their own potential for being wrong or at least limited in their understanding of their universal claims. This view implies that most world religions (especially those who believe in an absolute exclusive relationship with and understanding of God) are stuck in a kind of spiritual puberty. This recognition of one’s own and formal religions’ limits are both the process and marks of growing up. Recognizing our own capacity for error means we can never be sure our findings are absolutely accurate now and for all time. It means we must live with annoying uncertainty that we could be wrong, and even worse, that our rival could be right. The engaging story and Boyd’s easy writing style draws readers into the philosophical dilemmas, and helps to unpack dense concepts. Boyd shares personal reminiscences from his life, including child and early adulthood stories that students will readily understand and identify with. Dialogue between characters, and personal flashbacks join with Tom’s inner musings to take several perennial meaning-of-life questions to their deep theoretical underpinnings, and then explores the adequacy of our personal and social thinking processes. Erudite and wide-ranging, Boyd goes down rabbitholes that many of us ponder about the nature of humanity, reality and God in our youth. As such, it makes a good resource for young minds, as it introduces many important philosophical concepts from hard-hitters (in addition to those already mentioned), such as Martin Buber, Rene Pascal, Aristotle, William James, Meister Eckhardt, Teilhard de Chardin, Ludwig Wittgenstein, Emile Durkheim, and many more. At 393 pages, it is too long for freshmen, although some cuttings might be good for lower divisions. Chapters 21 and 22 might make good readings for upper division philosophy of religion, ethics or religious studies courses. This would be a good supplemental book for graduate level students, as well as upper division students, as many basic concepts of philosophy of religion, ethics, religious studies and sociology are explicated. Deeper underlying ontological issues, such as the objectivity-subjectivity divide, are dwelled upon at length. Seminaries and religious study groups with no prior academic philosophy background would find the book very fruitful. Overall, an enjoyable, if somewhat long (by today’s standards) read. It could have benefitted from a greater application to current world events here and there, but that might have bogged down the book’s readability. The book’s academic usefulness is diminished slightly by the lack of an index or bibliography, but any technical terms used are well-defined at the site of their employment. Throughout, Boyd eschews the overuse of technical jargon and overly fine-grained distinctions, while still providing a clear explication of the concepts under consideration. Lusting for Infinity joins other venerated philosophical teaching novels, such as Daniel Quinn’s Ishmael, and the twentieth century classic, Zen and the Art of Motorcycle Maintenance,” by Robert Pirsig, in helping to make complicated philosophical and moral conundrums understandable to non-philosophers. Lusting for Infinity is especially delightful for those with a philosophical background, both because of its breadth of notable philosophical references, and the author’s incisive analysis that cuts through the fog of specialized jargon and convoluted explanations to seek an intuitively satisfying, intellectually rigorous, and comprehensive account for the universal phenomenon of human religion.